Judge start date: I started to judge in 2006, passed L2 in 2008 and made L3 in 2011. 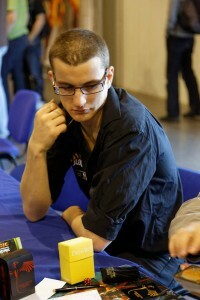 Occupation: L3, RC of France, Member of the Bazaar of Moxen TO team. Favorite card: Topsy Turvy, I really enjoy when the rules of a game change during the game. 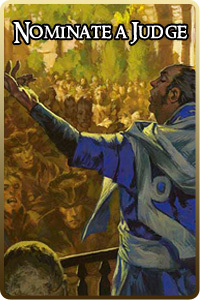 Least favorite card: Kangee, Aerie Keeper (to check if Alexis Rassel is reading this post). Favorite format: As Soon! The general rules are you have infinite life, infinite mana and as soon as you can do an action during a game you have to – if you miss it, you lose. If you want further details you can ask: Emilien Wild , Elliot Raff , Chris Lansdell or myself. We all are big fans of this game! Random fact about yourself: My girlfriend was able to reply to a rules question having never played Magic or read the rules… She was my proofreader when I was translating Cranial Insertion. Interesting question… Two judges from my area were disqualified and suspended. The last active judge in the area was one of my friends and he encouraged me to test to be able to have enough staff for the Pre-Releases. I’m currently writing an article or more (probably a series of articles) about the tournament procedures: VIP, Sleep-in Special and Public Events in general. As RC, I also have several projects in my region, certification being the biggest one. As RC I have daily tasks to do, related to the role: helping TOs staff their events, commenting on GP applications for the French judges, being sure that the information is correctly relayed to my community and all other tasks linked to the RC role. 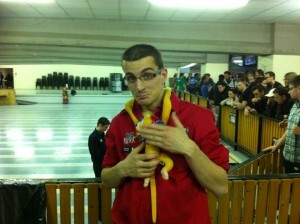 At the last official French Nationals some stones started to fall from the roof. 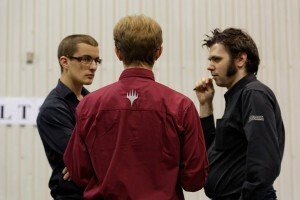 Below was a Legacy tournament, so the first reflex for some of the players was to protect their cards. We explained to them that their life was probably more important and we promised to refund all the players who didn’t want to continue to play. I grabbed as many judges as possible to move tables and chairs and we asked the remaining players to follow us to another safe area of the room. We then re-paired the round with the remaining players. I have developed good logistics and organizational skills which can be useful outside of a tournament; for example, my cousin asked me to help with the organization of her wedding and one of my teachers asked me to organize a conference because he knew what I was doing as a judge. Even if my English is far from perfect, Magic has had a very positive influence on my English skills. 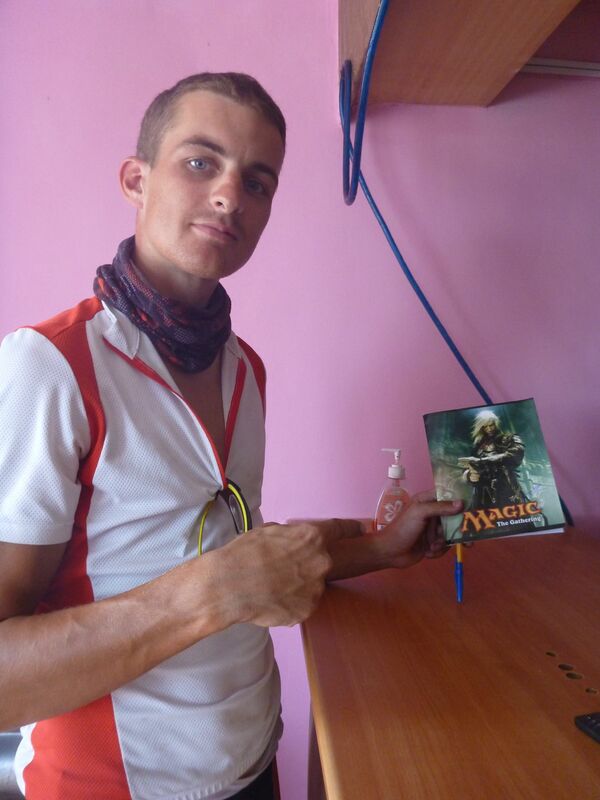 Magic also has a strong impact on my social life: every two or three weeks I meet the same group of friends no matter where I am in France/Europe/the world, and after a few years some have become good and reliable friends. I like to help people, but I need to see the impact of my decisions on those people. At my scale, the cause/consequence is pretty easy to identify so I’m able to get the feedback I need about my actions and continue to help people. Personally, I really like the fact that I’m able to develop skills in the judge program which would be useful for a future job. For example, I had the opportunity to manage a team of 40 people. It’s very formative and I’m pretty sure I will be able to use this experience during a job interview. Being able to write constructive reviews is also a complex exercise that can have some positive impact on the other areas of your life. I’m very glad to see that we reached 5000+ judges but that also means we will have to spend more and more time to keep united. Every judge has their personal goals and we have to make sure that it will be possible for everybody to reach their goal and be a good judge at the same time. Each judge at each level has the responsibility to make sure that their fellow judges feel integrated. I wrote this paragraph several times with a different moment each time and the conclusion is: I really enjoy when we sit at a bar, a restaurant or at home simply talking for hours and sharing a meal. The best ever was probably after Bazaar of Moxen this year when we had this very nice table speaking Frenglish, talking and laughing until 2 or 3 AM. Mark Rosewater. I really like the game design and Mark has very interesting points of view on this topic. If you have never read one of his articles or listened to one of his podcasts you should probably go to http://magic.wizards.com/en/articles/archive/116841. By listening to and reading Mark Rosewater I understand more things about Magic than playing it for over 10 years. Mercurial Chemister: half-logical, half-reckless 🙂 As you can guess I’m a big fan of the Izzet guild. Antoine Bouaziz , for his outstanding understanding of the human nature. Jason Lemahieu for his incredible communication with players. Kevin Desprez for his very interesting points of view on the IPG and the way he rationalized many processes in tournaments. Kim Warren for sharing her general positive mood and being always positive. Communication. I’ve been here for a while and I regularly discover a new project, a new website… The Wiki clearly helps to centralize everything but it’s not perfect yet. There are also many cross conversations between forums and lists but on the other hand sometimes the information doesn’t circulate enough. The communication inside the Judge program can be improved, be it’s already improving and I’m pretty sure that it will get better and better. Working towards L3. It has been the most difficult exam I passed (I decided to not show for my financial analyst exam at my business school). I was able to pass it because a few people invested a lot of time to help me: Alexis Rassel, Pierre Laquerre , Daniel Kitachewsky and Carlos Ho . Without their help I would probably not have tried to test. Being able to grow because people decided to help you is really a strong positive experience. Do it step by step. There is no need to rush. Being a rising star who will burn quickly and turn into a dead star a few months/years after is not very healthy for you and for the program. Everybody evolves at their own rhythm. When a judge locked out 6 others judges at midnight because he forgot the key inside of the apartment. Flashback when we were still running sealed events with a starter pack + boosters. In the morning we discover that the attendance was way larger than expected, so we didn’t have enough starters for everybody, but we had some extra boosters. As all the players have to receive the same product for a sealed tournament and a starter was not equal to 3 boosters (because there was an extra uncommon and because you could not open 2 copies of the same card) we had to open plenty of boosters to generate normal starters. Easy question – Shapeshifter! I like to play with the fact that only by changing my clothes people will clearly change their social interactions with me. Hum, let’s say North America. When I judge in US or Canada I really enjoy the interactions with the players. I think they understand that we are in tournaments to help them to spend a good time. Each time I go to North America I’m surprised how often players thank you for your ruling, even if it’s against them. I try to have a special goal for each of these tournaments. I don’t really care to have one more special event on my list, my goal is to learn or teach something at each event. When I have the feeling that the previous tournament was a bit boring I try to figure out ‘what could I have done better, which goal could I have reached’? PT Nagoya 2011. My first time in Japan and I passed my L3. One of the reasons would have been enough to rate this event as amazing but the two combined make it just perfect. I had the chance to travel 2 times to Japan. I really enjoy to do stuff related to boardgames: play, explain and design (so far I’m not very good with the last). I like to travel, I like to bike. I really enjoy to mix the two concepts. I really enjoy sharing good meals and good times with my friends. I keep it in a safe and I avoid using it too much. I’m a big fan of Aqua. My favorite place is Český Krumlov. Chris is actually a big Soccer/football fan, and watches a lot of games with his daughter! Thanks for the interview, Guillaume! Join us again next week, when we get to meet another RC, so stay tuned!